Intensive classes on Spoken English for the benefit of participants is also arranged during the programme. In case trainees require calibration of fiow meters / instruments they can bring the same if it is handy. 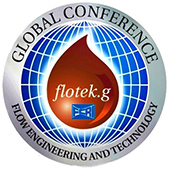 Opportunity to discuss flow metering problems with FCRI engineers. FCRI will provide necessary services for calibration / testing / consultancy during their training at nominal charges. Candidates are requested to submit job report based on his study, qualification & experience with the application form. The report will be assessed for selection of candidates for the training course. The trainees will be divided into groups and assigned with specific projects of laboratory importance and they will be required to present their project at the end of the training programme. Trainees will be required to submit the following reports during the course of training programme and at the end. Indoor games viz. Table Tennis, Carroms, etc. FCRI has mini bus for educational trips, Industrial visits to industries around southern part of India site seeing visits to Malampuzha dam, Ooty, etc. during weekends. Kerala is the land of exceptional natural beauty. Tucked away within little villages and bustling towns, sheltered by the elegant coconut palms, Kerala deserves the name God’s Abode. The major places of visit are Cochin – natural harbour with beautiful backwater, Thekkady – Wildlife sanctuary, Munnar – Gracious Hill station, Trivandrum – Capital of Kerala and Kanyakumari- Southern tip of India. Visits to industries and Sight seeing trips around southern part of India will be arranged during the weekends. Industrial visits include valve manufacturing units, heavy industries, Indian Institute of Technology and other major industries from public and private sector. Kerala is the land of exceptional natural beauty. Tucked away within little villages and bustling towns, sheltered by the elegant coconut palms, Kerala deserves the name God’s Abode. The major places of visit are Cochin – natural harbour with beautiful backwater, Thekaddy – Wildlife sanctuary, Munnar – Gracious hill station, Trivandrum – Capital of Kerala, Kovalam – a beautiful beach and Kanyakumari – Southern tip of India. Places of interest for Sight seeing in and around Southern Part of India are Coty, Kodaikanal (hillstations), Bangalore & Mysore (Palace), Madurai Meenakshi Temple etc.